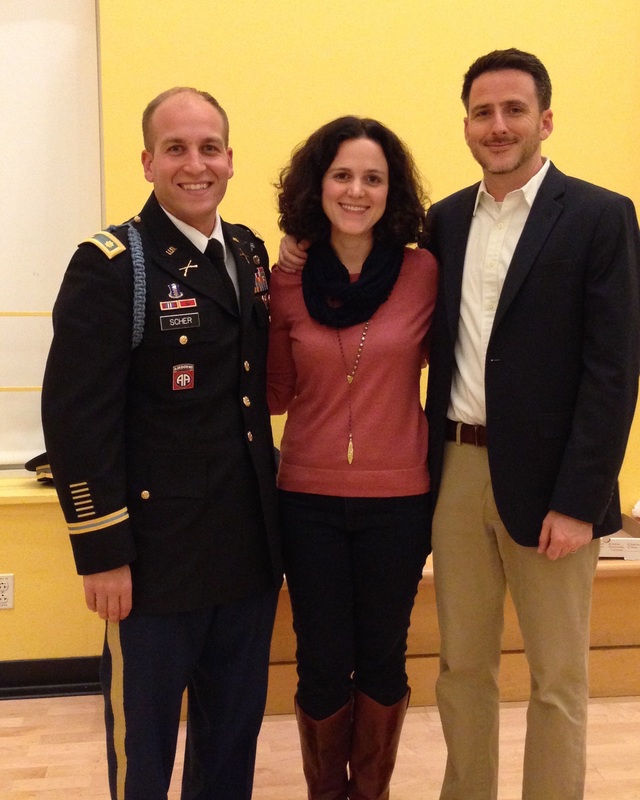 When the Bard College Debate Union and the United States Military Academy at West Point Debate Society tackled the question: "Is National Security More Important Than Individual Right To Privacy," both affirmative and negative sides delivered compelling, well-researched, and often surprising answers. This event, sponsored by the Bard Debate Union, the Hannah Arendt Center, the Center for Civic Engagement, and the Bard-West Point Exchange, marked the third annual debate of the Bard-West Point Exchange and opened The Hannah Arendt Center's two-day "Why Privacy Matters" conference on October 15-16 with a compelling presentation of student perspectives. That students should have the first word was fitting. The 20 member West Point Debate Society was founded in the early 1800's and is overseen by Major Adam Scher, an assistant professor in the Department of Social Sciences. The Society competes in 7-9 tournaments a semester including regional and national tournaments of the Cross Examination Debate Association. In 1947 West Point created the National Debate Tournament, which is now the most prestigious policy debate event in the country. 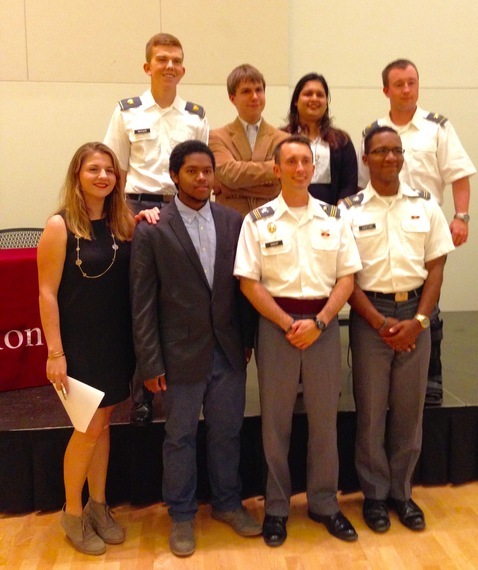 West Point Debate was ranked number 10 in the country last year and took home the award for best Military Academy Debate Team at the 2015 Lafayette Debates hosted by the French Embassy and George Washington University in April of this year. The Bard Debate Union was founded in 2004; in addition to hosting a robust public debate series and sponsoring a number of community-based outreach projects, the team competes nationally in the British Parliamentary Debate Format. Professor Ruth Zisman of the Bard Philosophy Department, one of the co-founders of the team, directs the program together with David Register, Faculty member of the Bard Learning Commons and Faculty Fellow in the Bard Prison Initiative. The highly decorated, award-winning Bard Debate Union is also proud to be integrating debate training and education into the innovative and world-renown Bard Prison Initiative - a program through which incarcerated individuals across 6 New York State prisons enroll full-time in coursework and earn degrees from Bard College. The Bard Debate Union at Eastern NY Correctional Facility team just received national attention when it roundly trounced the Harvard College Debating Union in September 2015. Competing on mixed teams with two Bard students and two West Point cadets on each side, the teams prepared for this debate Bard and West Point students prepared for 2-3 weeks and were in contact a week prior to the event. Students and faculty from both institutions emphasized the pedagogical, rather than any official political focus of this exchange, with West Point Debate team faculty advisor Major Adam Scher reminding the audience that the "opinions offered in this debate do not represent those of United States Military or Government." Many West Point debaters on both sides of the argument prefaced their statements with this same disclaimer. Meanwhile, the Bard debaters performed their own sort of disclaimer as well: Don't you assume you know what liberal arts college debaters will argue until you've seen them walk through both sides with their exchange partners. Indeed, the co-operation between the two schools invited more nuanced positions that demonstrated how advocating national security and defending privacy need not be antithetical, an instructive lesson for larger American debates in the university and beyond. The negative side argued that individual rights to privacy promote a freer, more democratic nation. It included Bard students, Nathaniel Carlsen 2018 and Simran Gupta 2019 and West Point cadets, Quanzy Caston Class of 2017 and TJ Collins Class of 2018. The affirmative side came out swinging with remarkably agile arguments that national security and surveillance offer greater public protection, especially for minorities, immigrants, and the LGBTQ community. Departing from the position that privacy is not an inherent US constitutional right and that Americans sacrifice some privacy as part of their social contract with their nation, this side asserted that national security is the foundation for a pluralist, inclusive society. These debaters presented the American social contract as closer to John Locke than Thomas Hobbes, the latter being absolute and the former allowing for dissent and dialogue. In sum, the affirmative team presented national security as key for a functioning public sphere where people can be safe in their work and public activities. By way of example, one debater affirming the priority of national security, invoked the name of Oklahoma City bomber Timothy McVeigh, who, had he been subjected to national security governmental oversight on the rental of vehicles, purchase of chemicals and guns, might have been prevented from wreaking his infamous act of domestic terror. The negative team countered by depicting US national security efforts as contrary to privacy. First, they attacked the Constitutional question, declaring: "make no mistake: privacy is guaranteed by the Constitution." Where the affirmative side appealed to Hobbes and Locke as the foundational thinkers of the social contract, the negative side rallied under the aegis of German-Jewish émigré political theorist Hannah Arendt, who defended privacy as a "secure place, without which no living thing can thrive." For Arendt, "Everything that lives, not vegetative life alone, emerges from darkness and, however strong its natural tendency to thrust itself into the light, it nevertheless needs the security of darkness to grow at all." One Bard debater on the negative team stepped boldly forward and asserted: "The Patriot Act has never stopped anything. We avoid terror when we get lucky." West Point debaters on the privacy side adopted a more cautious tact reminding the audience that their positions do not represent the US Military or government and then called for a need to democratize privacy. "Privacy shouldn't just be a privilege of the elite; all citizens have a right to it." The affirmative team shot back: "privacy doesn't exist for black and brown bodies--a vote against the negative is a vote for minority rights." Hearing the national security side defend black and brown bodies is indeed a welcome position among the many competing views on how to protect minorities. But the negative side refused to allow their opponents to co-opt the defense of minorities and the LGBTQ community and retorted: "democracy cannot function if national security is the priority" and "it is not possible to track a select group of people." Negative side member offered a powerful counterargument to the affirmative's claim to protect minorities. "A Muslim with a sense of humor is in danger." She averred, and she made the case that in fact national security surveillance has disproportionally intervened in the lives of many law-abiding Muslim-American citizens. Very clear on both sides of this argument: people of color suffer. As for the Constitution, both sides were right as well: The Constitution makes no mention of privacy, but the Supreme Court has argued that several of the amendments create this right. The Fourth Amendment stops the police and other government agents from searching citizens and their property without "probable cause" to believe that a crime has been committed. Other amendments protect people's sovereignty over their bodies and private lives without interference from the government. Congratulations to both Bard and West Point teams for moving the privacy debate forward and sharing their energy and argumentative acumen with the public. Their exchange is a model to other institutions of higher education.